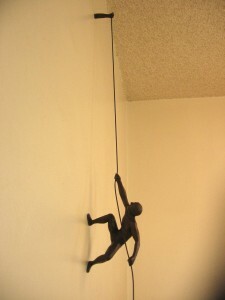 A very popular piece, the Climber is part of the “Inkling Series” of sculptures that depict varying human actions in stripped down, minimalist ways. 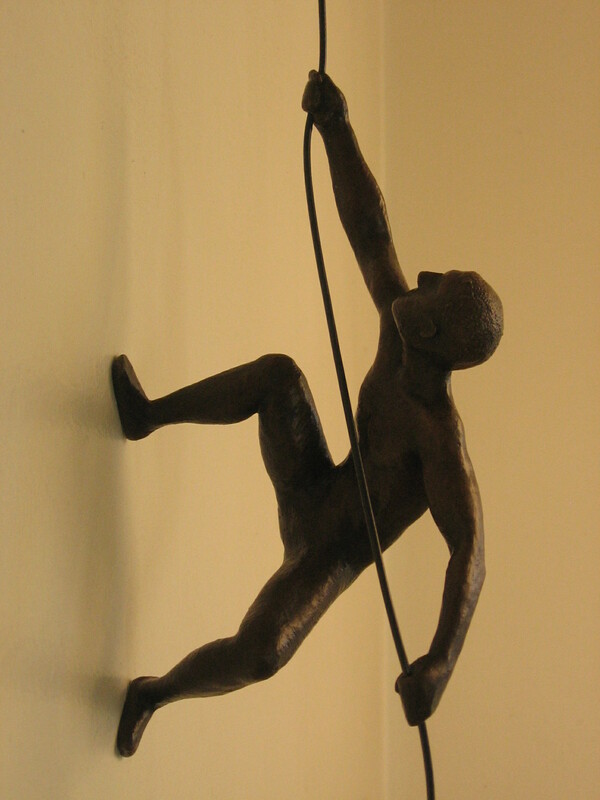 He is available facing both right and left and is held aloft by a coated steel cable attached to a supporting “arm” that attaches above him to the wall. He is fully adjustable on the cable so he can be slid high up near the top, his “climb” nearly complete, or down lower with his struggle still ahead of him.